A cocktail ring or a right hand ring is the perfect jewelry accessory to present to someone for literally any occasion. It is also a wonderful gift to give yourself after an accomplishment or just because. 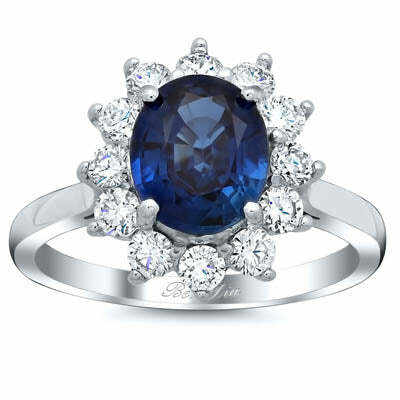 As you may or may not know, deBebians specializes in all types of fine jewelry, including gemstone cocktail rings. 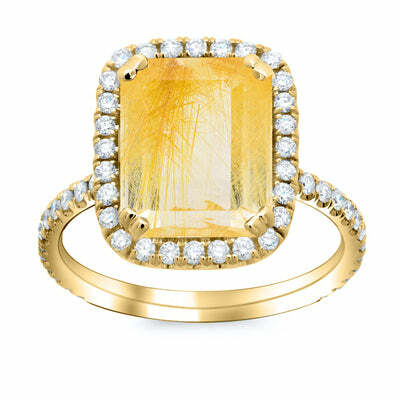 A cocktail ring or a right hand ring typically features a large center stone, which makes the ring a statement piece. We love the unique beauty of rutilated quartz. Each stone features its own distinctive pattern of gold rutiles, from which the stone receives its name. Each emerald cut stone weighs approximately 7 carats and is surrounded by an 18 karat yellow gold setting. We completed the look of this ring with a delicate diamond halo. 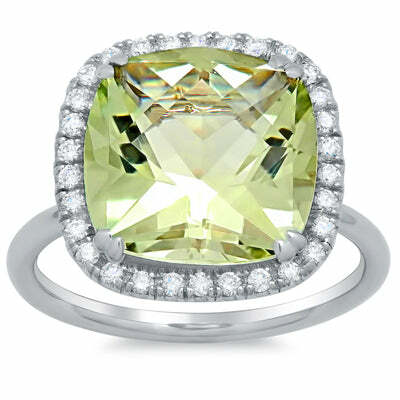 Green amethyst has a light, sage green color and is perfect for spring! We created this ring with a plain shank, which makes the center stone and diamond halo the main focus. We have selected a 7.50 carat cushion cut green amethyst gemstone for this ring. The center stone is held into place by double prongs. This ring might remind you of a quite famous ring–think royal! I’m referring to Kate Middleton’s engagement ring, of course. You may choose your desired center stone size (1.00 ct, 2.00 ct, or 3.00 ct) as well as the metal type and finger size. If you are looking for a gemstone cocktail ring that we do not currently offer, please contact our jewelry designers for a complimentary custom jewelry quote.